Welcome to Hagshdow. We are a UK-based label, mail-order store - distributor of all forms of electronic underground and extreme music such as Experimental Noise, Industrial, Noise, Power Electronics, Dark Ambient, Death Industrial, Ritual and more. We are very proud to promote the music we most love. Hagshadow has been trading for nearly 20 years. We hope you have a great shopping experience with our new web page. If you looking for any particular items not listed here please contact us. Unless otherwise stated, all items listed are in mint condition – brand new and unplayed. or until the payment transfer is completed. We only ship orders to the PayPal addresses and always certificate/post proof the goods we send. 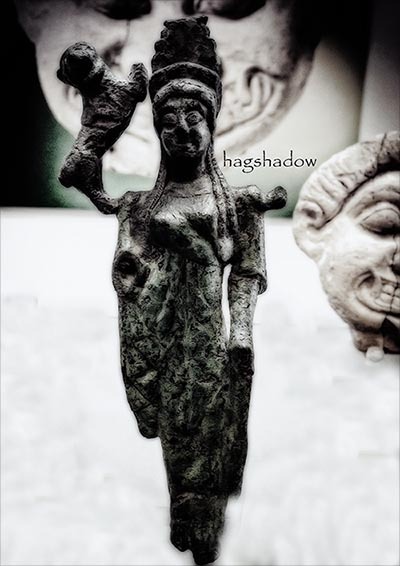 Hagshadow is not responsible/liable for loss, stolen or damage of goods. If you like to register/insure the parcel please contact us before purchase. Shipping will be confirmed via e-mail. Our policy is to keep all data including names, addresses, phone numbers, emails secure on file. We will not disclose your information to a third party or anyone without your permission.